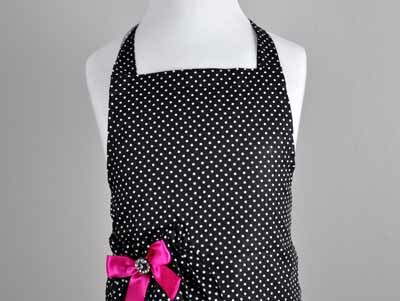 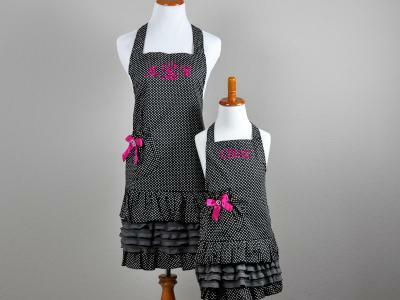 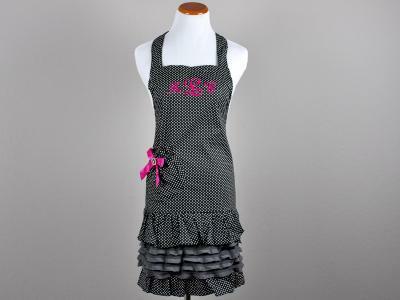 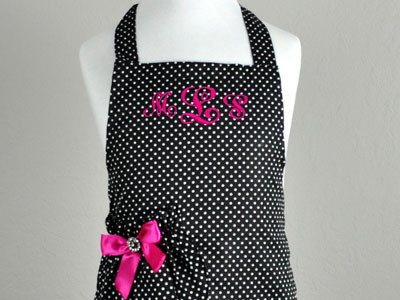 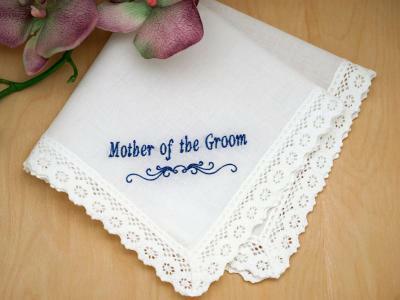 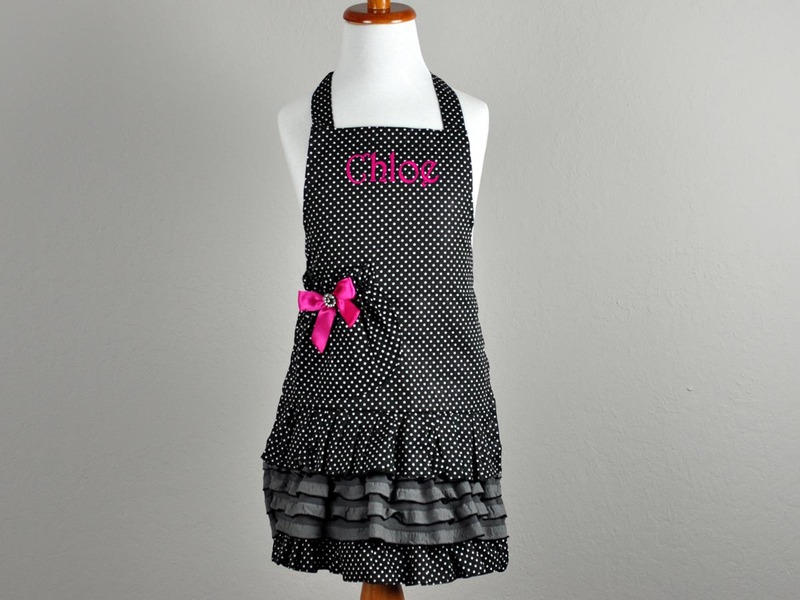 This mini-me version of our black and white polka dot hostess apron will be a big hit with your little one. 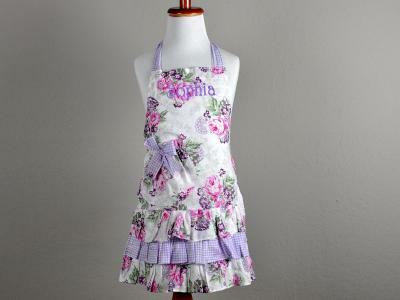 The ruffles on this kids apron is super cute and perfect to twirl around in. 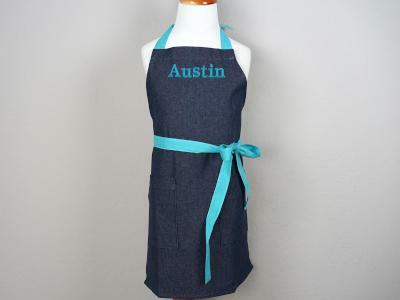 The best part of this children's apron is the cute little pocket in front, which is decorated with a hot pink bow and rhinestone button. 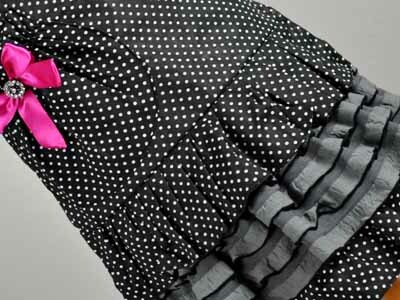 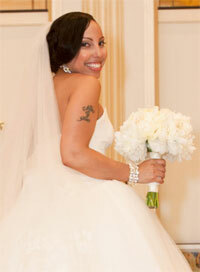 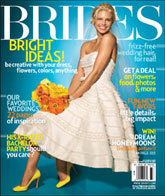 Who doesn't love a little bling on their outfit.